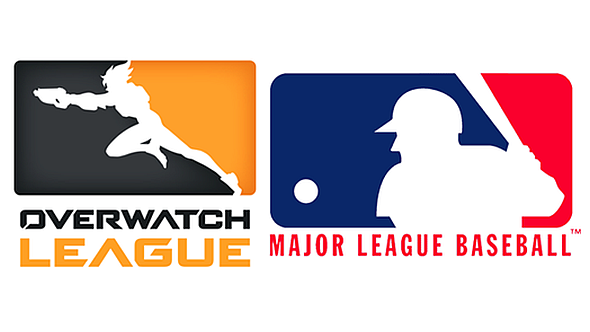 Major League Baseball (MLB) may bring a case against the Overwatch League (OWL) over the similarities – such as they are – between the two organisations’ logos. Here’s everything we know about the Overwatch League so far. Following the OWL logo’s publication in the Official Gazette – essentially the weekly newsletter of the US Patent and Trademark office – the MLB requested an extension of time to consider whether they will oppose it, according to law firm Morrison Lee. The filing was made just one day before the 30-day deadline. Call me biased but I know where I stand, and it’s not with MLB. It seems a petty thing for them to do, especially when you consider the other imitations they’ve let slide. The context of esports’ rapid ascendancy, particularly Overwatch, and the threat that represents for the viewership of traditional sports, is difficult to ignore here. The deadline for MLB to submit their opposition officially is July 26, and the ruling rests with the Trademark Trial and Appeal Board. We’ll let you know what they decide.